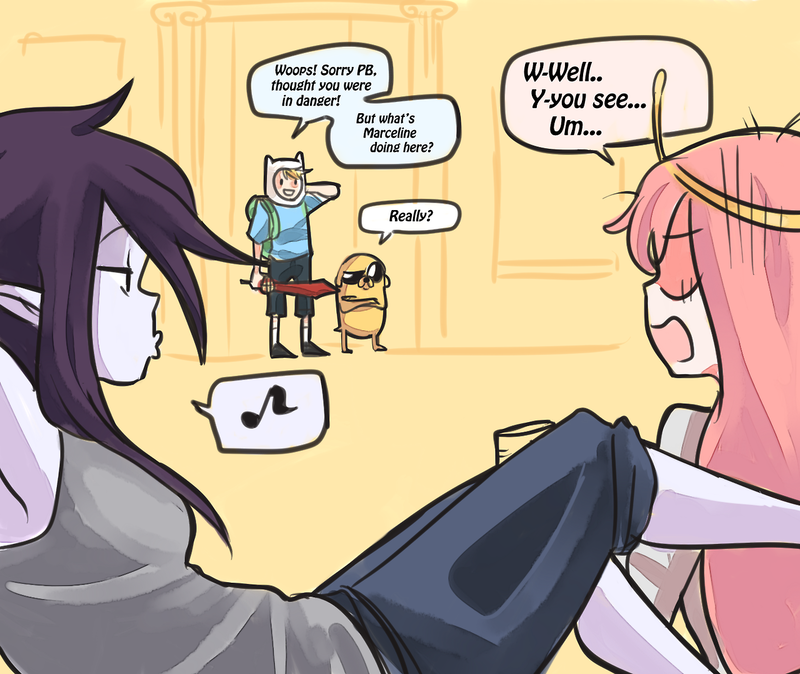 Monthly Bubbline. . HD Wallpaper and background images in the Adventure Time With Finn and Jake club tagged: photo finn jake marceline princess bubblegum. 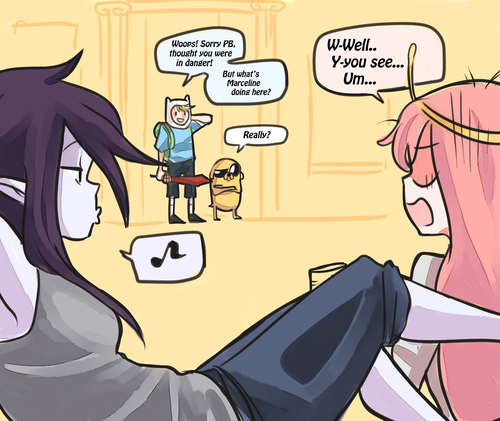 This Adventure Time With Finn and Jake fan art contains anime, comic book, manga, and cartoon. hehehe, i know what there doing.